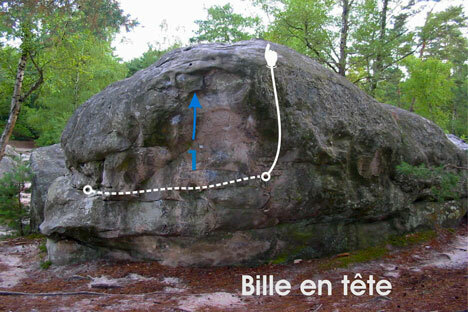 4 meters to the right of this boulder (blue 1) there is a roof, start on bucket, both hands to undercling, left hand in 2/3 finger pocket, hands to top and mante out? Any info? grade could be 6c?